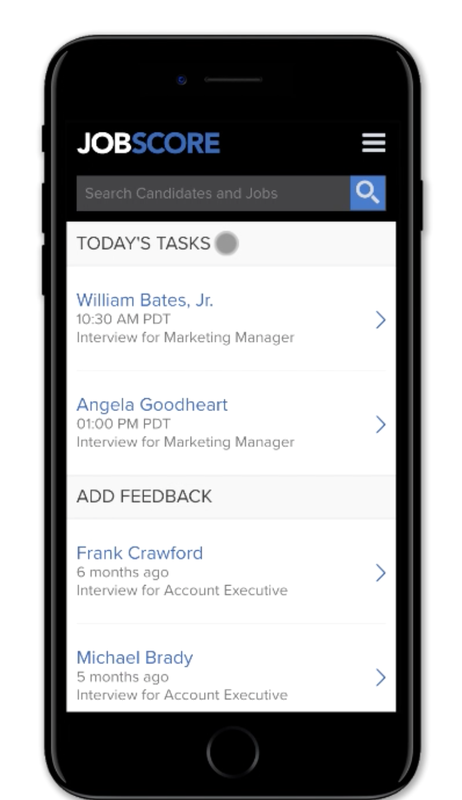 We’ve launched a significant update to the JobScore mobile interface for employers. Users with Standard, Extended, Admin & Owner access levels can now drive candidates through the hiring process on their phone. These updates aren’t just for recruiters who constantly use JobScore on the go. They make it easy for hiring managers to keep up with their recruiting tasks when they are away from their desk. We hope you are as excited about these mobile changes as we are and we’re excited to hear your feedback.